What Makes Teens Become Bullies? Bullying is when one individual is picked on repeatedly (either physically or emotionally) by a group or individual with more physical strength or greater social standing. While bullying has been a fairly consistent part of the adolescent cohort, mediums such as social media have taken it to a new level of severity, sparking nationwide anti-bullying campaigns. At some point, most kids will experiment with how far they can push their peers; however, real bullying is consistent and targeted. In order to understand how to deal with bullies, we must consider the factors that create them in the first place. · Home Environment – Although any child can become a bully, researchers believe that the environment at home can lead to aggressive behavior at school. Teens experiencing inadequate supervision, parental conflict, neglect or some type of abuse are more likely to take their anger out on peers as a way to create control. · Stress – Extreme stress in teens can manifest by directing that stress at others. Even if their home life is secure, factors such as lack of friends or support network, academic pressure, physical appearance or even being victims of bullying can all allow teens to gain an artificial feeling of superiority and a sense of control over their surroundings. · Insecurity – Teens may pick on their peers because of pervasive insecurity. Harassing others might get them a laugh or impress their friends. 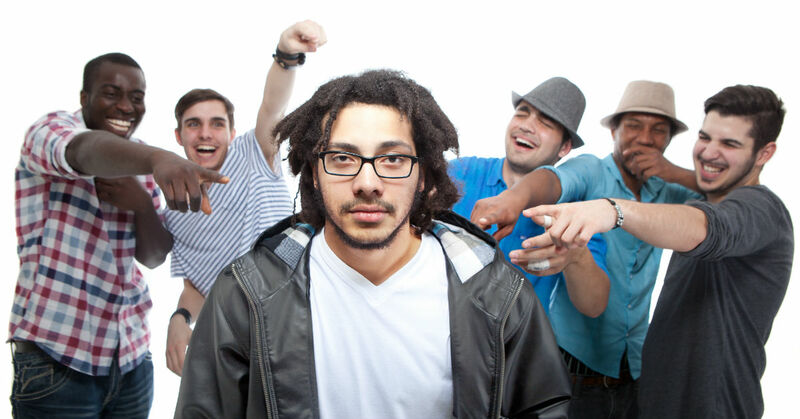 Picking on others helps bullies secure their place in their social group and compensates for their low self-esteem. · Overconfidence – Overconfidence, the opposite of insecurity, can also be a factor in bullies. Being taller, smarter, better looking, richer or more popular can feed the feeling of superiority in some teens. Torturing those who rank lower on the social chain makes them feel powerful. It can be emotionally devastating for any parent to discover that their child is being bullied and equally devastating when your child is the one consistently tormenting others. Open communication with your teen is very important during this stage. Whether your child is the bully or the bullied, keeping an eye on his electronic communication is important, as aggression via social media is extremely common. Report anything that is physically threatening or dangerous to both the school and the police. Consider therapy for your teen in order to either learn coping mechanisms for bullying or to determine what is causing the behavior in the first place. Under no circumstances should you ignore the behavior or assume that “all teens go through it” or “he’ll grow out of it.” Teens that bully need to find a more constructive way to vent their frustration, and teens who are bullied are at a greater risk for depression, anxiety or even substance abuse as a way to escape reality. In some extreme cases, a full time residential treatment program can help give your son the temporary, full time care and coaching he needs in order to heal and move forward in a healthy way. Liahona Academy, located in southern Utah has specialized in helping boys struggling with the factors and effects of bullying since 2001. Our caring staff and experienced therapists can help your son turn his life around and become a happier individual. Call us today at 1-800-675-8101 for a free consultation.